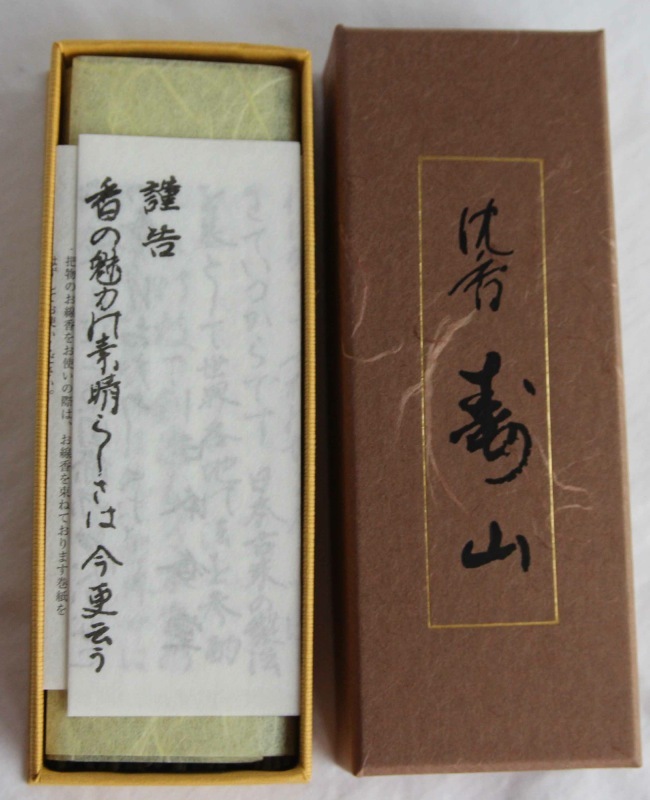 A highly valued scented wood, Jinkoh "Aloeswood", is used to make Jinkoh Juzan (Aloeswood Forune Mountain). Jinkoh is noted as "grace in nature, willowy in character, a pinch of bitterness in mild taste" by old textbooks of Koh-Do (The way of incense appreciation). 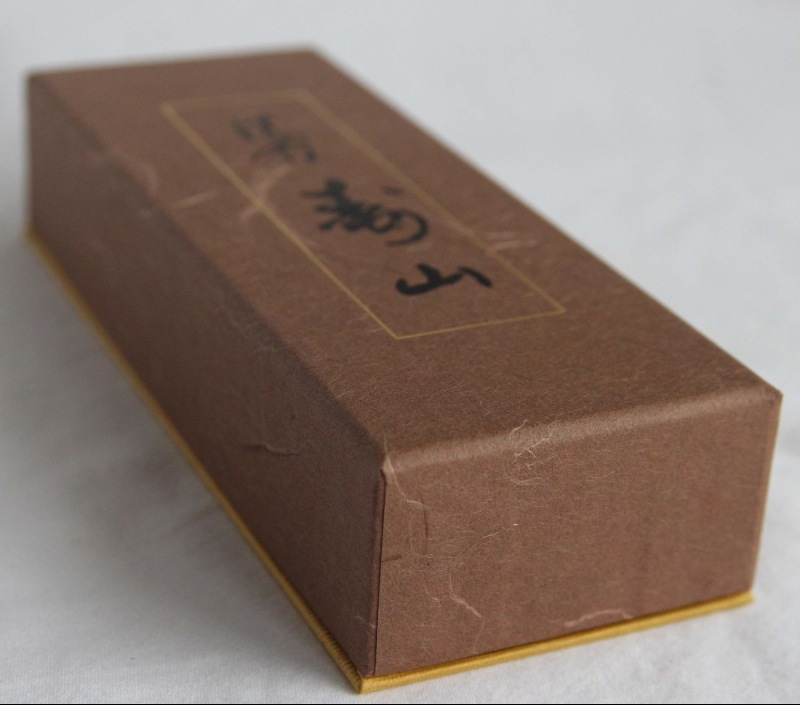 In Jinkoh Juzan, Aloeswood, Sandalwood and herbal medicines are used bountifully, which creates an elegant and tasteful fragrance. Juzan is the Japanese word for Aloeswood. 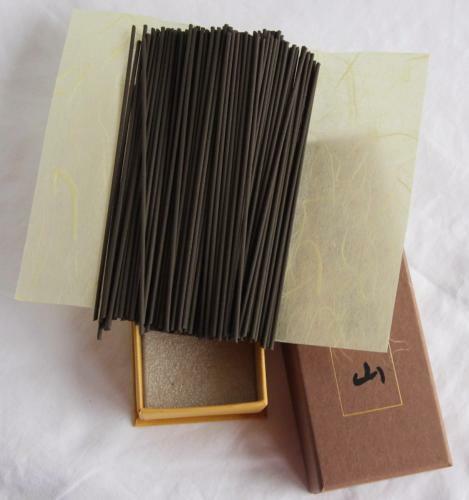 This Incense is also available in a Shorter stick format - Jinkoh Juzan Aloeswood 60 Sticks Boxed & Bound.